Considering buying your first home? Start with an HDF Homebuyer Education Class! Whether you have already applied for a mortgage or are just beginning to consider your options, 8-hour HBE classes provide in-depth instruction and valuable advice. All HDF borrowers should complete an 8-hour homebuyer education class prior to closing on an HDF loan. HBE classes may be required for HDF and other loan programs. 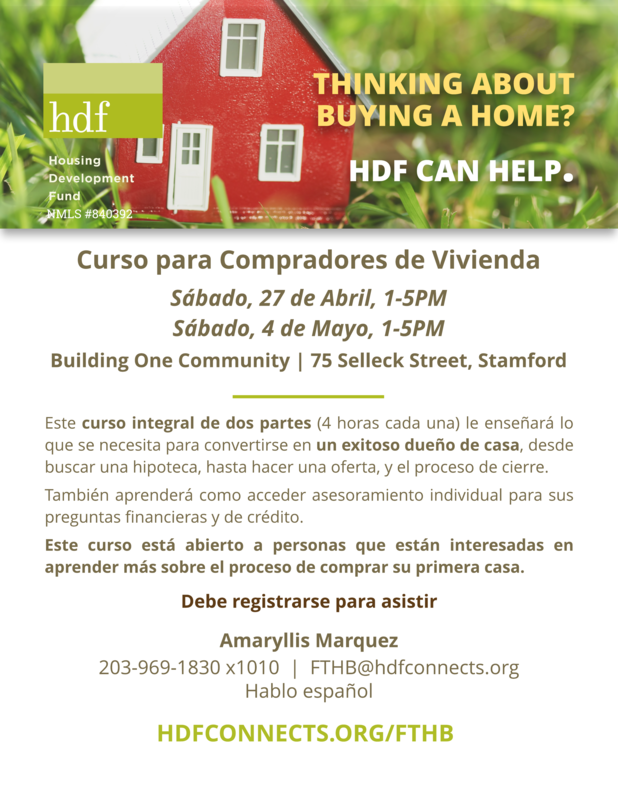 Please join HDF Homeownership Advisors for a FREE homebuyer education course. This class is open to anyone in the community interested in learning more about homeownership. To receive your certificate, you must attend both Part 1 and Part 2! Please register by email to fthb@hdfconnects.org or by phone at 203-969-1830 x 1010. You must register to attend. Already a client? Register using your HDF account. © 2019 Housing Development Fund, Inc.